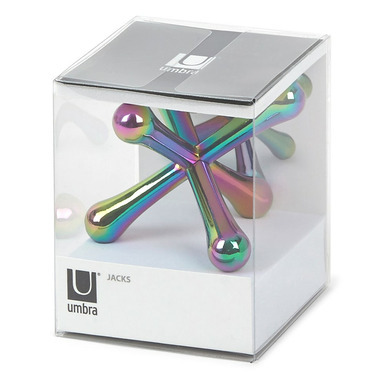 The Umbra Jacks Ring Holder is a unique ring holder with a rainbow plated metal finish. 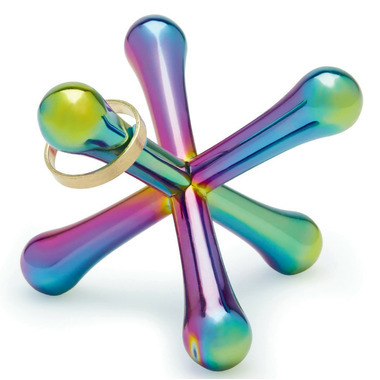 This ring holder looks just as good displayed on a shelf as it does being used in the bathroom for storing rings. Changing colours at different angles, Jacks makes a great gift for any design lover.